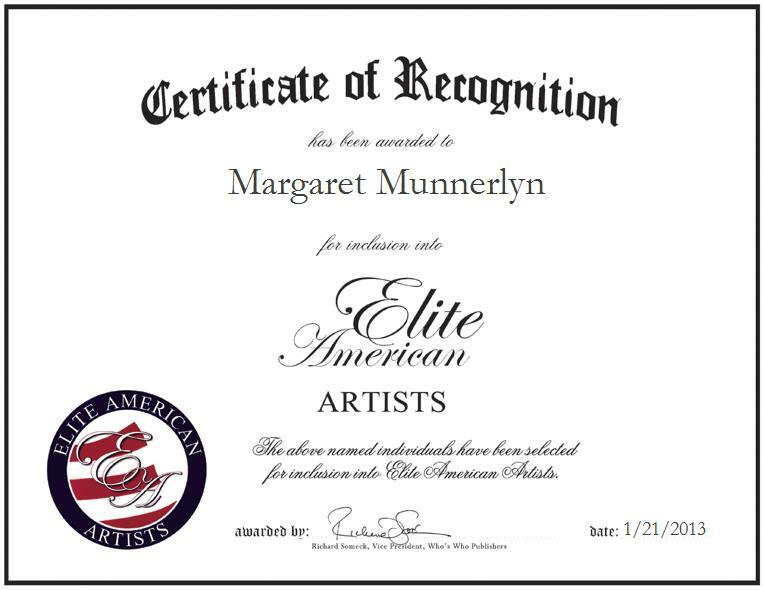 POCONO SUMMIT, PA, January 21, 2013, Author and Herbalist Margaret Munnerlyn has been recognized by Elite American Artists for dedication, achievements, and leadership in writing and publishing. With a wealth of knowledge and literary experience acquired over the course of a career spanning nearly a decade, Mrs. Munnerlyn constantly strives for excellence in her every endeavor. An award-winning author, she has garnered a reputation of distinction for her heightened listening skills and strong attention to detail, and for the exceptional talent she has displayed in the books and poems she has written. Mrs. Munnerlyn has earned recognition from the International Who’s Who in Poetry, as well as an Award for Exemplary Performance in 1985, the 2006 Poetry Ambassador Award. She is also a three-time recipient of the esteemed Editor’s Choice Award. Through the years, Mrs. Munnerlyn has come to attribute her success to her early exposure to children’s literature that she received from her mother, father, cousin, Georgie Frances Moultry, Peter Moultry and J.T. Snead. She published her piece “Food for Thought” in 2004, which focuses on experiences from her life, and examinations of her family and friends. Some of her favorite books include “Mirror to America,” the autobiography of John Hope Franklin and “Leaves of Grass” by Walt Whitman. Mrs. Munnerlyn worked as a director, translator and researcher in 1987 for a play about Puerto Rican culture. She also worked as a reading tutor for college students from 1975 to 1976 and for grade school students from 1974 to 1975. She wrote a chapter in one of her books about her 37-year-old daughter, who is mentally challenged. She feels that everyone has a gift, but to be able to share one’s gift with others is a blessing. Her works are featured on Amazon.com. To learn more about Margaret Munnerlyn, please listen to her exclusive Elite Radio Network interview.